Super mom Lisa Baker outlines a few powerful strategies for helping kids overcome fears. Number one is to empathize with kids' fears—yes, there are shadows and lots of other things in this world that do look scary. No matter how silly the source of the fear may seem (a branch or a puddle) the emotion behind the fear is real. Baker also recommends sparking kids’ creativity and imaginations. She relays a story about helping her daughter overcome her fear of water and swimming with a book about a girl who discovers she’s half mermaid. Raul, Tinybop’s founder and CEO, used shadow puppets to show his kids that they could create monsters in the dark, and they could also make them go away. 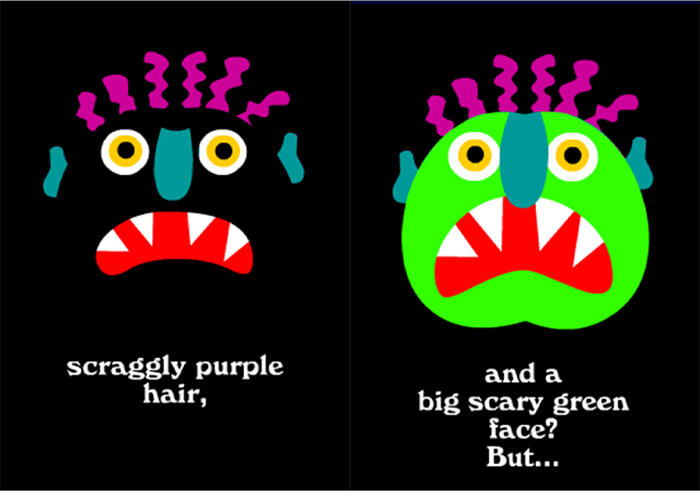 We wanted The Monsters app to work for kids in much the same way. 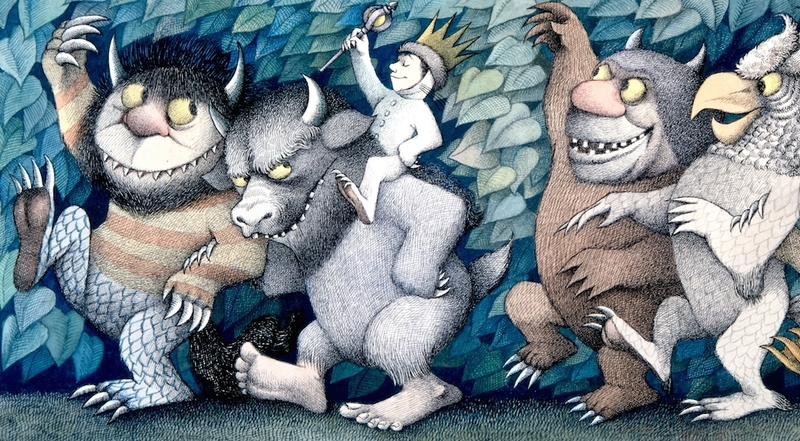 We wanted kids to be able to bring the monsters that haunt their imaginations to life—whether they're frightening or funny—and to confront their fears in a context they can control, in a world that is their own. To do that, we took cues from some of our heroes —Tim Burton, Maurice Sendak, William Steig, and more—writers, illustrators, and filmmakers who understand kids and bring our terribly imperfect world up to their level, who strike the right balance between scary, weird, and fun, and who keep kids and their imaginations at the center of their stories. One day, Loves (our site for kids’ media we love) will contain the entire William Steig library (here are our favorites so far). 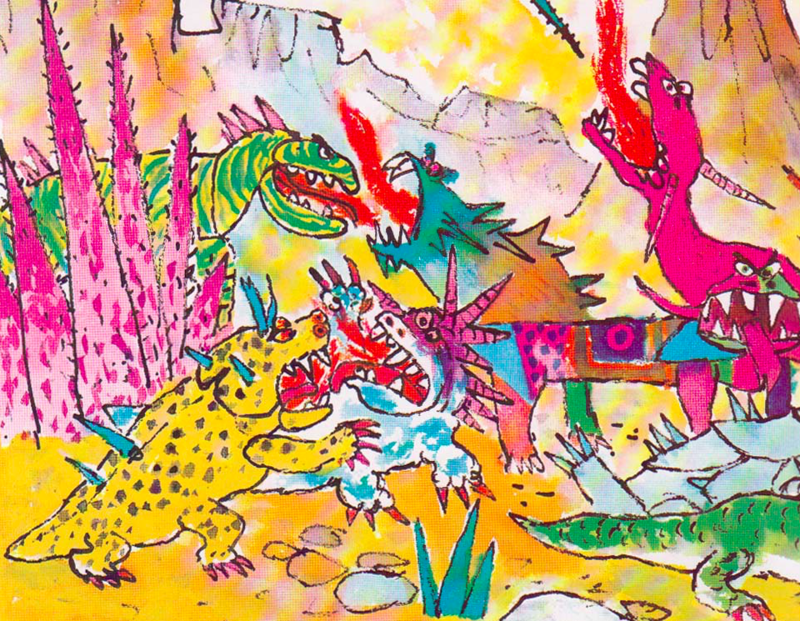 His books challenge and engage kids with wild imagery and vocabulary. Rotten Island is no exception. It’s a story of a terrible, terrible island full of terrible terrible beasts. It’s an entirely delightful read about the power one person or thing has to create change, how good can come out of very bad situations, and so much more. Tim Burton's Vincent (1982) from Vincent Price Archive on Vimeo. Tim Burton made the charming, animated short Vincent, in 1982 (three years before his feature directorial debut with Pee-Wee’s Big Adventure). In tribute to the horror film star Vincent Price, one of Burton’s heroes and later collaborator, the film tells the story of an unusual young boy who wants to be Price. The boy’s story unfolds in alternating shadow and light, between his dark imagination and the brightness of everyday childhood. 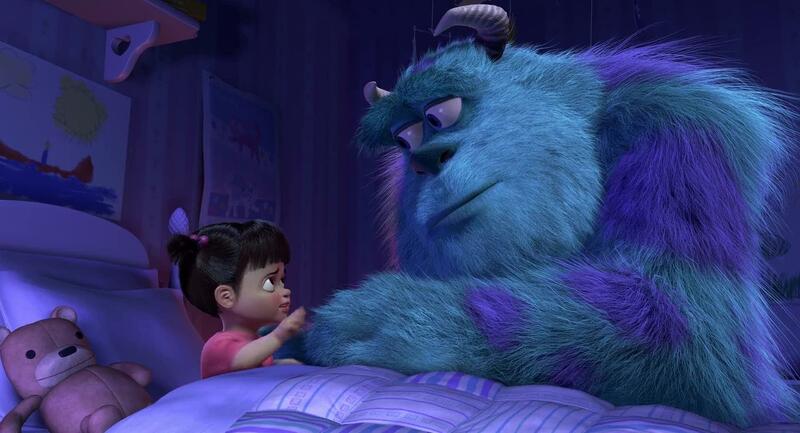 In the sweet and funny movie Monsters, Inc., an entire monster world runs on the screams of children. And so, monsters must hide in closets and under beds to scare children at night. 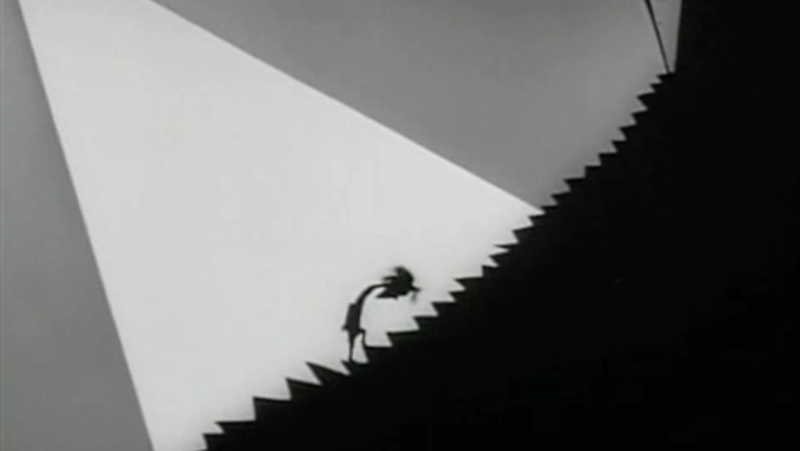 But the tables are turned when a little girl makes her way into the monsters’ world. As it turns out, monsters think children are toxic. Ed Emberley’s minimal, expressive style is an incredible medium for kids’ imaginations. We love his drawing books because they give kids a few easy tools and tricks that let them draw whatever they want. And we love Go Away Big Green Monster because it reveals the magic behind creation and the power it gives kids to make scary things to go away. For more excellent, endearing monster reads, find copies of The Great Green Turkey Creek Monster and There’s a Nightmare in My Closet. Or dig up Codex Seraphenix, an encyclopedia of an entirely invented world, documented in an invented language written with a coded alphabet alongside surreal and senseless drawings. For more children’s media we love, visit Loves.